is honored on Panel 52E, Line 33 of the Vietnam Veterans Memorial. THANK YOU FOR YOUR SERVICE AS AN INFANTRY UNIT COMMANDER WITH THE 1ST CAVALRY. THIS WAS THE UNIT OF A FRIEND'S BROTHER. SAY HI TO MIKE IN HEAVEN. WATCH OVER AMERICA. IT STILL NEEDS YOUR GRACE. TODAY IS VETERANS' DAY.- SO IT IS IMPORTANT TO REMEMBER AND HONOR ALL OF YOU. MAY THE SAINTS AND ANGELS GUIDE YOU. REST IN PEACE. His KIA date is off by three days. 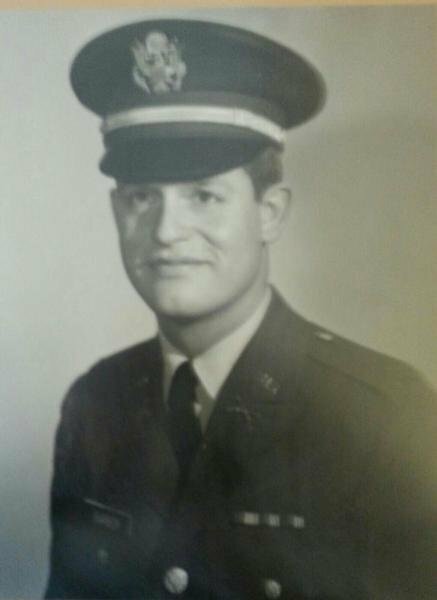 He was killed on 4-25-1968 in a massive ambush high in the A Shau Valley. I was just a few feet from him and was seriously wounded just a few minutes later. He was the platoon leader that day. If anyone has a picture of Lt. Barber please send it to rr6m@att.net as we need it for a documentary we are making. He was a good man and a hero. May he rest in peace. He is now buried at Hillcrest Cemetery, Denton, MT next to his parents. He was very much loved and is still missed. Love you David, your sis Robin.